A good indication that an Apple product refresh is coming soon is when the respective product’s supplies begin tightening up. Most recently, this process happened with the iPad prior to the iPad 2 launch and with the MacBook Pro prior to the MacBook Pro refresh with Thunderbolt and quad-core processors. Now, it’s the iMac’s turn for a refresh. 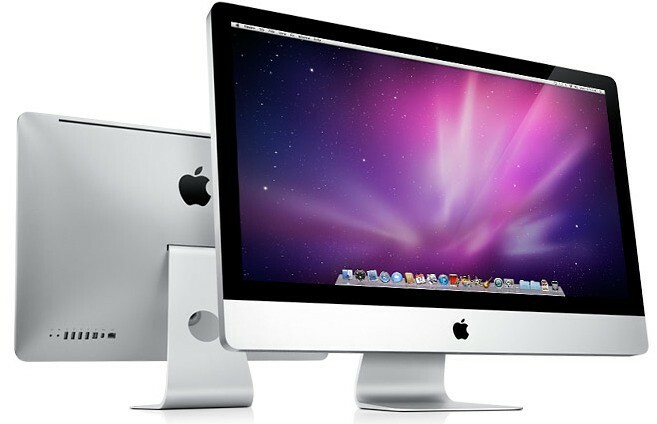 We have been told by three people familiar with the matter – all in different countries including the U.S. and an Asian country – that iMac supplies are tightening. First, we have our friend Mr. X who provided us with the above screen shot and the following information. Mr. X says supplies for the iMac have tightened significantly, and this has never happened during the current model’s life-cycle. The data chart above shows that all four iMac models are “constrained” with no ETA for new shipments in a particular region; a very large one. Tipsters in the United States have informed us that their iMac shipments are also very constrained. That’s not the full story though. Although actual iMac shipments are lacking, our U.S. tipsters report that actual iMac components are also very constrained. The most constrained pieces right now are the current iMac’s graphics processors and hard drives. A lack of replacement components is also a good indication of an upcoming refresh. Next, our source in a major Asian country reports that the 21.5 inch iMacs are very constrained, more so the 3.06 GHz base model, and the other three models are very close to the constrained state. So, when are the new iMacs coming? Previous reports claim that new iMacs with faster, Sandy Bridge processing chips and Thunderbolt I/O ports are launching between late April and early May… bring them on! Thanks, Robert! Update: Readers are asking about Mac minis and white MacBooks. Although those products are approaching the end of their life cycles, there are plenty of them still around. We are waiting for the Mac Mini Server edition to be upgraded, we will let you know if more develops on this story or on and further Mac hardware refreshes.